Performed consistently well for different swing speeds. Confidence-boosting shape. May spin the ball too much for some. The 460cc driver, fairway and hybrid all feature an ‘OctaForce’ crown, which saves three grams of weight that Yonex has moved elsewhere to raise the moment of inertia. The driver appears larger than the VXF driver down to the shape, boosting confidence at address. A ‘Quick Adjust System’ allows users to tweak their ball flight by altering the loft up or down by up to 1.5° in 0.75° increments. The system is compatible to i-EZONE and EZONE XP models. Yonex is known for its graphite technology and in the Z-Force driver, the M60 shaft features a stronger tip versus VXF to provide more stability and a more penetrating trajectory. 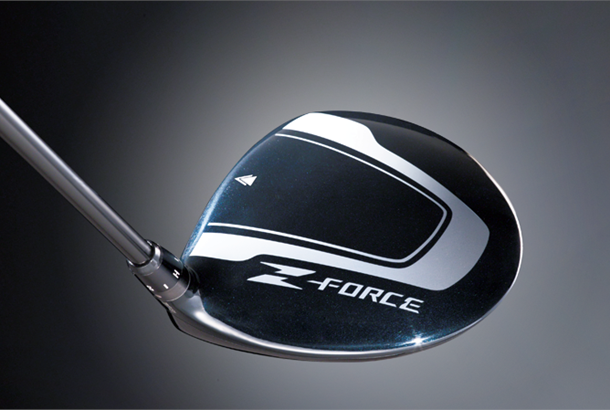 See how the Yonex Z-Force Driver got on in TG's 2015 Drivers Test! Delivered on its high-spin promise, I was at over 3000rpm. The head shape is large and rounded and the flight was pretty high. I can see it benefiting slow swing speeds but I actually hit it surprisingly well. Loved the feel at impact, it had a muted sound but felt incredibly solid and powerful. It’s long from front-to-back but the dark blue crown and graphics work for me. As a senior golfer I have opted for the SL shaft meant for slower swing speeds. If I "let the club do the work" and don't try to overpower it the results are excellent. It goes further than my existing Yonex driver with a more penetrating flight and less effort. Fantastic value at the price plus adjustability - although probably not as versatile as some of the competition. Well worth a go if you can get past not having Ping,TM,Callaway etc on the headcover. Busy on top and felt/sounded hollow and tinny but performed admirably. It seemed to match up well with my swing speed and was forgiving, too. I seemed to get a strong flight but wasn’t rewarded with distance, surprising given the technology is aimed at a golfer like me. After years & countless drivers I ve at last found one that does what it says on the box .this driver is for people like myself who want distance but haven't got the swing speed ,also with a bit of tweaking a flight I want.